Why Invest in iPad Applications? 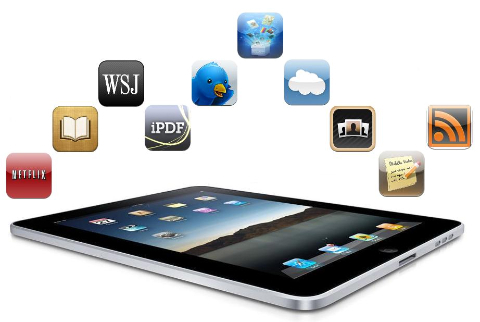 Home » Mobile App Development » Why Should you Invest in the Development of iPad Applications? When we think of tablets, the iPad has the highest ´top of mind´ recognition amongst the majority of consumers. There are many alternatives to Apple´s device but they aren’t close to matching the volume of sales produced by the iPad, according to a study recently published by Chitika (company specialized in advertising and marketing). This is precisely the reason why the iPad is responsible for 78% of all consumer internet traffic on tablets. In a very distant second we find that the Amazon tablets contribute 7.3% to the internet traffic, with Samsung tablets coming in third with 6.3%. These tablets are all very different from each other, and require developers to create games and applications for their specific operating systems. One of the new features being rolled out on the iPad´s latest models is the retina display function. This makes the tablet more advanced than its counterparts and more convenient to use for consumers, thus consolidating it´s title as king of the tablets. Add to that the fact it follows the same design as the iPhone and a similar operating system, it guarantees it´s success. It is important to remember that the iPad was designed for a longer customer usage experience, much longer than the iPhone. This is where the development of apps becomes a central issue, and a key asset especially for companies that opt for mobility. Whether it be leisure or office work that the consumers´ taken home, iPad app developers have tailored apps to their customer needs and have solidified the iPad´s position as market leader and king of tablets. On rival tablets, not all their applications are available within their specific market place. For example a mobile android app may not be available for its respective tablet. This also sets the iPad apart, as the majority of apps are available on every device. Whether to organize your holiday or manage your business, applications for iPad make customer life a lot easier compared to other devices. Integration of technologies also aids in adding perceived value for the customer; technologies such as augmented reality apps for iPad for example. It enables the customer to immerse themselves in the tablet and their surroundings.